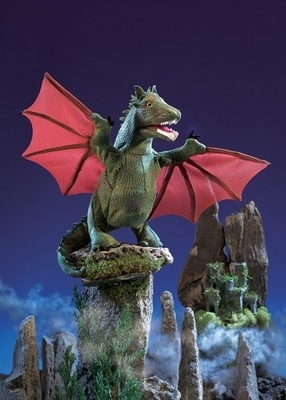 Folkmanis 3051 – Fantasy play just got more entertaining with the Folkmanis® WINGED DRAGON puppet. Fierce and bold, this green flying reptile is a handful of fun. Create your own fairytale animating the mouth and wings of this magical beast. Movable mouth and wings. The 12" width is the wingspan. Measures 15” x 12” x 9”.